Dubai: The UAE’s retail giants are getting the hang of ecommerce ... and they are putting in big bucks to make it work for them. The Majid Al Futtaim Group made two major commitments in recent weeks: First, by taking the lead in a $30 million (Dh110.34 million) funding for the Saudi Arabia-based grocery delivery platform Wadi.com. This will come in handy in building up scale for its Carrefour outlets in the kingdom. And on Wednesday, the Group confirmed it had acquired Beam Portal, the e-wallet app, and which it plans to extend to other regional markets as well. As the line between the physical and digital worlds continues to fade, we are investing in our digital transformation. This obliteration of the online and offline retail spaces is what the Lulu Group is after. It has in the last 18 months invested Dh55 million on “alternate services”, into expanding logistics hubs to serve “omni-channel” services, on back-end software to integrate on and off-line transactions — on its delivery fleet and also on the website itself. “No longer can retailers say investments are exclusively for their physical stores or for the digital space,” said V. Nandakumar, chief communications officer at Lulu Group. “These investments need to serve both sets of interests, and ensure a seamless delivery of services to the customer. It’s all that counts. Would that mean investing in digital start-ups as well? “Definitely ... though it’s not something we have looked at seriously until now,” Nandakumar added. Dubai remains one of the most attractive offline shopping destinations in the world due to its unique physical landscape. UAE retailers are more confident in what the shape and scale of their online approach should be. What they are not trying to do is be “online marketplaces” where everything gets sold, as is the case with Souq/Amazon or noon. That’s a space that cannot take on more than one or two players at the best of times. “Even in those categories — where a lot of sales happen online — such as gadgets, fragrances, fast-fashion — there are mini-dynamics in play,” said Nandakumar. “There are certain consumer groups more comfortable buying online than off. Even in a category such as fashion, shoppers still need a physical store presence to head to. It’s wrong to assume that all manner of physical retail is going to be swept away by online. We have observed that in addition to price, selection and convenience are key factors impacting retail behaviour. Take grocery, for instance. The consultancy Nielsen estimates that global online purchases of packaged and fresh groceries has “surged” by 15 per cent in the last two years. In the UAE, specifically, 11 per cent of online consumers purchased fresh groceries online, an increase of 8 per cent from the previous year. Read between the lines and what the consumers are saying is that if they are promised a certain quality of service and with minimum hassles, they are willing to make a purchase. And this is exactly why there is still a lot to be fought over in the UAE’s ecommerce universe. Unlike in the United States, it is unlikely that it will be a single winner takes-all. UAE’s traditional retailers are not going to make that happen. ■ Stocking up on fashion and picking up tickets for the next gig in town are the two categories that posted the most significant growth in ecommerce activity compared to last year, according to Nielsen. 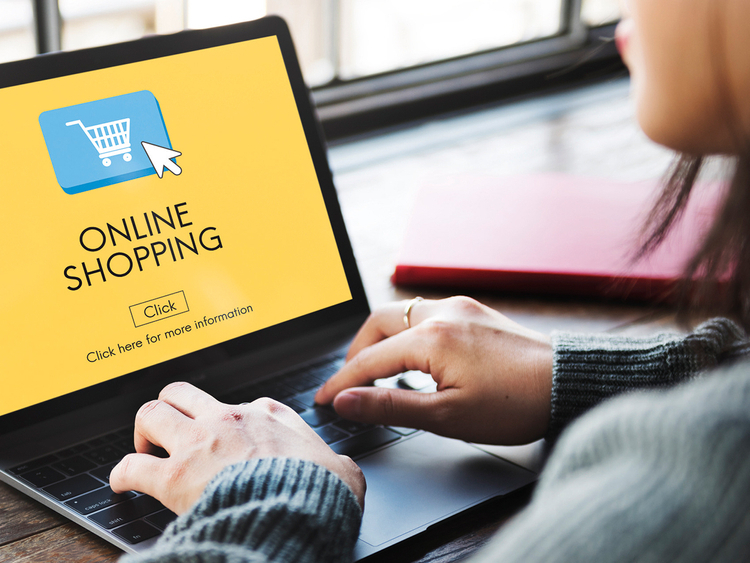 ■ “Consumer’s willingness and interest in online purchasing is rising, and the continuously evolving ecommerce space has blurred the lines between online and offline,” said Andrey Dvoychenkov, managing director for Nielsen, Arabian Peninsula and Pakistan.